I had two main takeaways from seeing Blade Runner 2049: 1) Ryan Gosling deserves better and we need to #ProtectRyanGosling at all costs. 2) Han Solo needs to stop having children because it causes way too many issues. The original Blade Runner, starring Harrison Ford and multiple origami animals, was first released 35 years ago. It was a huge flop in the box office. Since then, the film has evolved into a cult classic. It’s only fitting that this second installment follow in its footsteps. However, reviews for Blade Runner 2049 aren’t so hot. As I’ve taken the time to reflect on the movie since watching it, I can understand why: this film is complex. First of all, the movie is long. I snuck Chinese food into the theater and could’ve eaten the whole meal twice over. It leaves everything up for interpretation and it lacks the instant gratification most people want out of their cinematic experiences. In today’s society, where information is literally at our fingertips, movie plot lines are almost expected to be laid out for us on a silver platter. The original Blade Runner is smoggy, dark, and always has someone smoking in the foreground. The streets are constantly trashed, it’s constantly raining, and it seems as though the entirety of the film takes place at night. It’s a breath of less-polluted air when the new Blade Runner opens with an iconic police car flying through the daytime sky. Also, Tyrell Corporation and the angry, rebellious replicants are no more. Instead, there’s a creepy organization bathed in an orange-yellowish light called Wallace. Basically, it’s a blind Jared Leto walking around in his black silk pajamas, angry at the world for trying to create the perfect human being. At about a third of the way into the movie, K discovers that he could’ve potentially been born rather than created in a lab. And of course, after two hours of Officer K walking around and trying to find his purpose in life, other events happen and the film ends with an ‘eh’ and a shrug. Despite Harrison Ford’s appearance, Blade Runner isn’t Star Wars, so there isn’t a huge past archive to pay homage to. There’s one shorter film, but it barely contains any dialogue. What’s impressive is that this sequel pulls certain things from the original and uses them to weave a completely new storyline. Don’t expect to go into a buddy cop film with Ryan Gosling and Harrison Ford though. Though Ford’s (Deckard’s) screen time is limited mostly to the end of the film, I find his lack of appearances to be extremely important to the story’s structure. 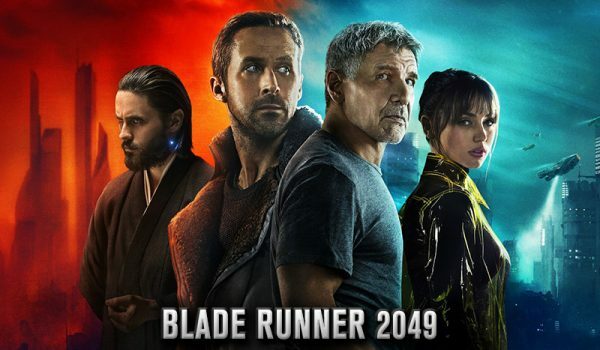 Even though this is a sequel, Blade Runner 2049 doesn’t imitate its predecessor in plot. Instead, it’s an entirely new story about purpose and identity. That being said, the end turned out wonky and felt slightly underdeveloped. It resonated like a journey without a resolution. You bond with Officer K and want justice for him, but never get that satisfaction. This movie essentially poses the question, “What is the meaning of life?” but then kills off a bunch of characters and never satisfies the audience with an answer. In addition, if you’re curious about whether Deckard is a replicant or not, you won’t find an answer in this film. Instead, you can listen to a five-minute monologue by Jared Leto making jokes about whether he is. But hey, does it all really matter? In the end, all these moments “will be lost in time, like tears in rain”…. Nailed it.